Epic Church in East End!! This would be amazing space to keep as a venue, circus some sort of arts hub on Broadview just south of Gerrard. Designed By Famous Architect E.J. Lennox Who Designed Toronto's Old City Hall, Casa Loma & King Edward Hotel. Corner Property Brimming With Character. 8200sqft. 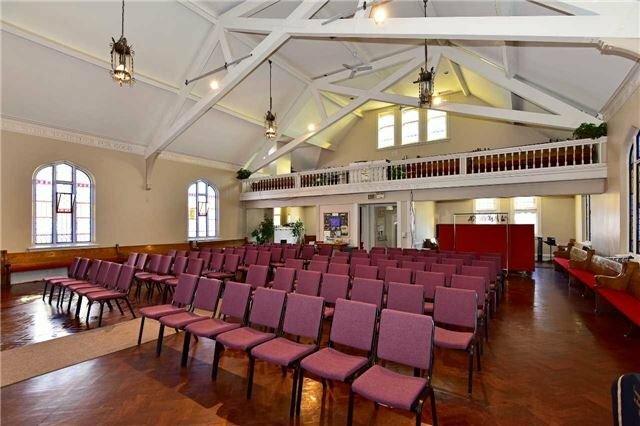 Main Floor 27Ft High Open-Concept Venue Space With Stained Glass Windows & Offices. 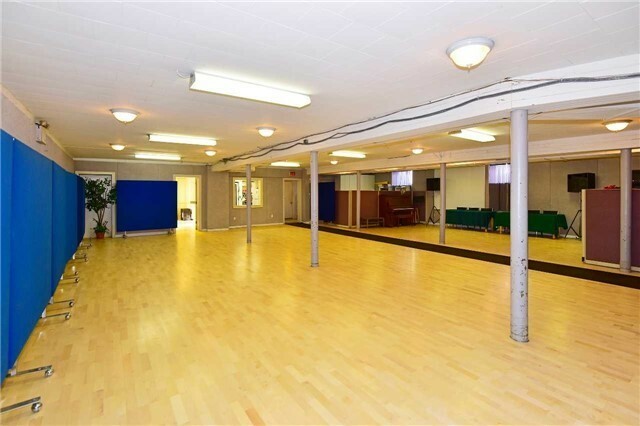 Lower Level With Abundant Natural Light, Kitchen, Office Space & Large Open Area Ideal For Events. Highly Accessible By Ttc. Mins. To Broadview Subway, Dvp, & Major Thoroughfares. It's an auction due before March 26th. Contact me if you interested. 647 378 9339. 3 most recent clients Rosie, Ariel and Tim received the Lucky Cat house warming gift personally made by yours truly. See all the Lucky Cats click here. Bond Loft Sold! Article in Globe and Mail! After 3 weeks the Bond Loft has sold for 99.6% of asking price. Article in Globe and Mail here. The final 2 units of the IZone relaunch will be listed in a couple months and will be more epic then the Bond loft. Contact Arty if you want a preview. Shaken not Stirred. If James Bond lived in Toronto this is would be his home. Inspired by high end award winning construction, architecture and design by Atria Developments. Where to begin? This authentic live/work loft is a 3 level level masterpiece with 25 ft exposed timbre and beam cathedral ceilings, private terrace, diamond polished concrete floors, 2 bedroom with 2 exotic bathrooms, contemporary Ridgeway kitchen with quartz countertops and backsplash, custom end-grain maple island, mood lighting galore, single tread and waterfall solid oak staircases, exposed 20ft brick wall and so much more, come and be blown away with I-Zone's Diamond in the Rough. After many years as one of the few cultural hot spots in the east end of Toronto the circus is sadly shutting it's doors. The owners have decided to pack up and retire (for now). After over 20 years in the business, they got burnt out. The circus isn't all just balloons, fun and death defying stunts, theres alot of behind the scenes un-glorified work that goes in, which can easily get tiring for anyone. So off to more adventures for Eli and Svava. All the best guys! That said there are still smaller run circus' in the area, all posted here in the official heart felt statement from the owners : Statement. Most common question that I get is where to the next boom gonna be? My Answer: Follow the crack! It's no secret that gentrification exists, and is running rampant with out of touch boomers wanting to have a somewhat tangible connection to cool. Yet not interact, instead accidentally driving the hipster bohemian artists away thus creating a baron lifeless neighbourhood. This cycle continues as we all know. Let's take a step back and find out where these artists are going in the first place. This only works if you are between the demographic of an artist and boomer. You gotta have a bit of money and willing to grind out the rough hoods for a bit to really 'capitalize' on your investment. So buy in the rundown crack neighbourhoods. Thats where the rent is cheap and artist will be moving in to make the neighborhoods pretty. It happened with Parkdale, Leslieville, Corktown etc etc... Potential gentrifications: Weston rd, East Danforth, Hamilton.